Chief spokesman for Israeli Prime Minister Benjamin Netanyahu, Mark Regev, was interviewed on Radio National Thursday morning this week. You can hear the 8 minute interview here. Israel is currently preparing a ground invasion into Gaza. The goal of the current Israeli air strikes (and of a ground invasion if that happens) is to free Israel from rockets from Gaza. It is a defensive goal. In response to the claim that the threat of rockets was not ended the last time Israel invaded Gaza, Mark Regev said that in the real world we cannot expect perfect solutions but must look for the best possible solutions. After the last invasion (2008/09) Israel experienced a long period of quiet. Children for the first time knew a life free from fear of rockets. Iranians have helped Hamas acquire the missiles. In response to Hamas demands that Israel stop attacks on Gaza, opens the siege, stops operations in the West Bank, and releases the arrested Palestinians, Regev said if Hamas stops firing Israel will stop bombing Gaza. However, in the weeks leading up to this Israel warned them to stop firing rockets or suffer consequences. Israel was taking every possible measure to prevent killing civilians. Not targeting people of Gaza. Israel did everything it could to avoid this fighting. Hamas has forced this war upon us all. 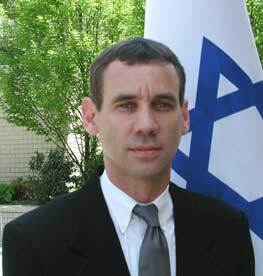 In response to interviewer’s question about most Palestinian casualties in the last ground invasion being civilians (using the B’Tselem figures), Regev said his figures were different and most casualties were combatants. In response to Israel’s Deputy Chief of Staff’s declaration of the IDF doctrine that Israel targets its enemy’s civilian infrastructure as both a deterrent and to foment popular opposition to Israel’s enemies, Regev said Israel will be as surgical as possible. Israel will try to target only terrorist infrastructure; if civilian infrastructure is used by the enemy it can be attacked.